Somaliland’s President Silanyo pledges to work toward common objectives with the United Kingdom after meeting William Hague, British Foreign Secretary. President Ahmed Mohamed Silanyo met with British Foreign Secretary William Hague on Friday [8 July 2011] in the Ethiopian capital to discuss bilateral, humanitarian and regional issues. Mr. Hague praised the UK-Somaliland relations and Somaliland’s progress in the key areas of security, human rights, development and democracy. He promised to strengthen Somaliland and UK ties and expand cooperation in security and development. President Silanyo on his part thanked the Minister and urged him to help Somaliland gain international recognition. He lauded the two states ties and said Hargeisa is prepared to work with UK in common areas of interest. The historical meeting comes a day after President Silanyo met with senior British naval officers aboard a British warship at Berbera port. The two sides discussed regional security and stability in the region. They agreed to cooperate in the combating of maritime piracy off the coast of neighbouring Somalia and other security operations. This warship conducting anti-piracy operations in the region is the first British naval ship to dock at Berbera in 60 years. The president and his delegation left Addis Ababa early today for South Sudan to attend the independence ceremony in Juba on Saturday. A large delegation including the former President Dahir Riyale is already in Juba waiting to welcome President Silanyo and his delegation. The president also plans to meet with African heads of state, EU and U.S. delegations including Susan Rice, the US envoy to the United Nations. 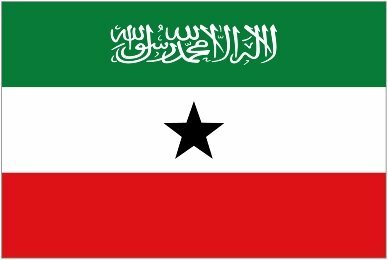 Somaliland hopes to be the newest African state after South Sudan.